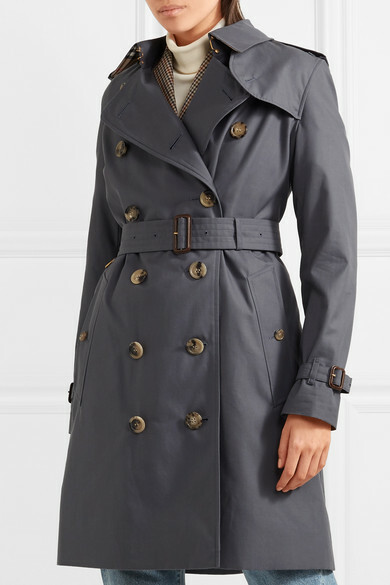 Aside from being a tried and true wardrobe staple, the humble trench coat is also one of this season's biggest trends. 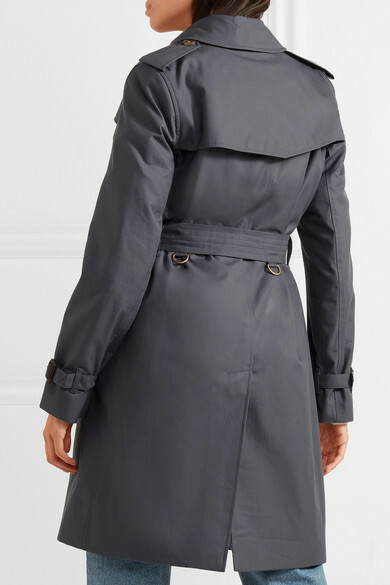 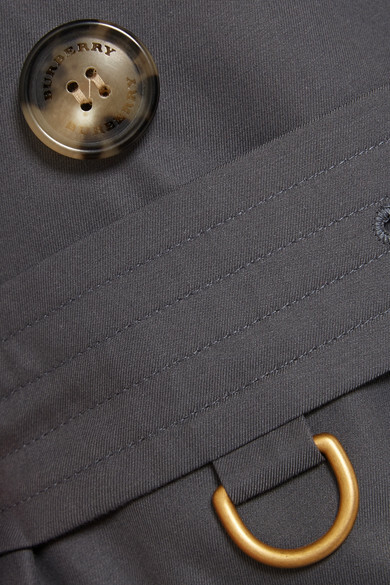 This 'Kensington' style is made exclusively for us from waterproof cotton-gabardine in a classic double-breasted shape, complete with horn buttons and leather buckles. 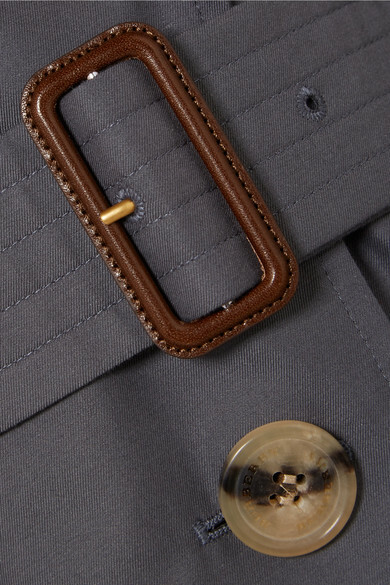 Pop the collar to flash a glimpse of its iconic checked lining. 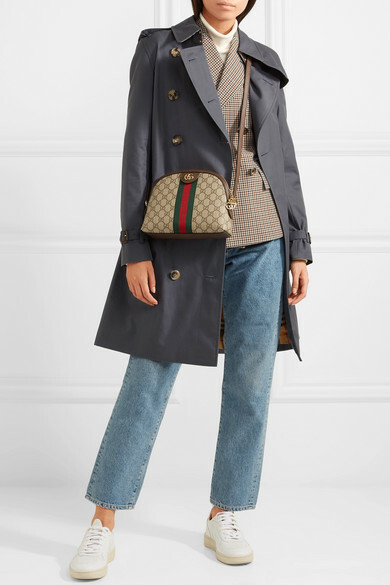 Shown here with: Burberry Jeans, Maison Margiela Blazer, Goldsign Top, Gucci Shoulder bag, Veja Sneakers.